The Everlast Swivel Standard is very good for homeuse. 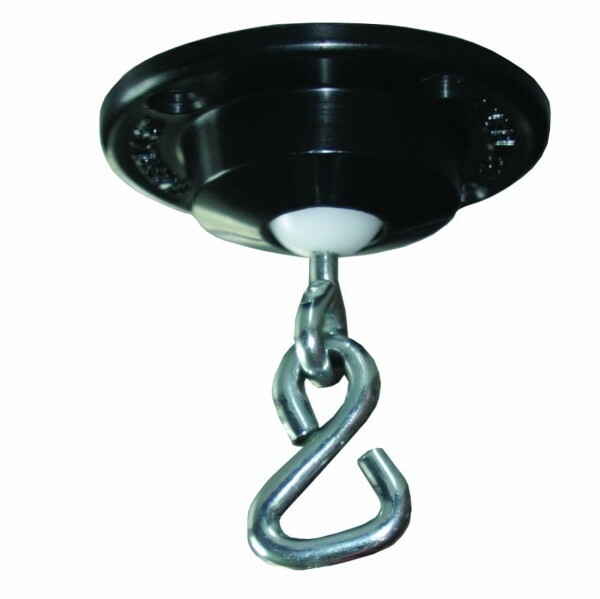 There is a hook mounted on a plastics base of the ceiling fixation where a speedball or similar can be put in. The Everlast Swivel Standard has a swivel joint ensuring a smooth rotation of the ball.